A case of the flu is an unpleasant experience for anyone, but because the elderly are especially at-risk for developing serious complications from contracting the flu, they should take extra precautions to stay safe during flu season. People between the ages of 70-80 have less immunity than seniors between the ages of 60-70, and are at even greater risk as a result. Here’s what seniors can do to reduce their risk of contracting flu. Get vaccinated Vaccines can help prevent 80-90% of those that get them from contracting the flu, and when more people in the population are vaccinated, the spread of flu is reduced significantly, protecting even those people who did not get the vaccine. Because seniors have higher risk of contracting flu, they should get the vaccine, particularly if they are in a nursing home or retirement community. Practice good hygiene Flu spores can remain viable on doorknobs, railings, and other surfaces for hours – so it’s important to frequently wash your hands and use an alcohol-based hand sanitizer after touching them. Caregivers for elderly persons should be especially careful to practice good hand hygiene to prevent transmitting infection. 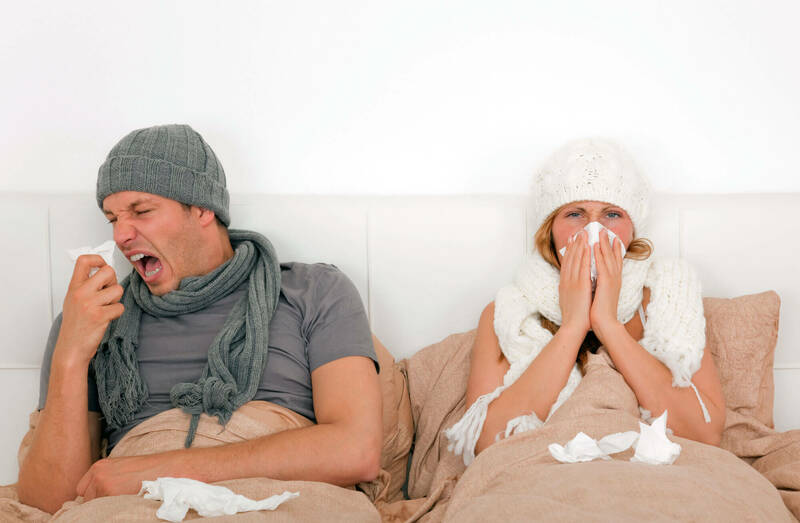 Avoid sick persons Most flu transmissions occur when a sick person comes in contact with an uninfected person, and coughs or sneezes in their direction. If you know someone is sick, avoid contact with them until you know they have fully recovered. And if you are sick, stay home from work and avoid social events in order to prevent spreading the flu. Maintain your immune system. Your immune system is going to be working overtime to help you recover if you do contract the flu – so it’s important to make sure you are giving it all of the tools it needs to stay strong and ready for the worst. Exercise and diet are two of the best ways to maintain your immune function. Be sure you are eating plenty of fresh fruit and vegetables, which are packed with immune boosting compounds.